Hello everyone. 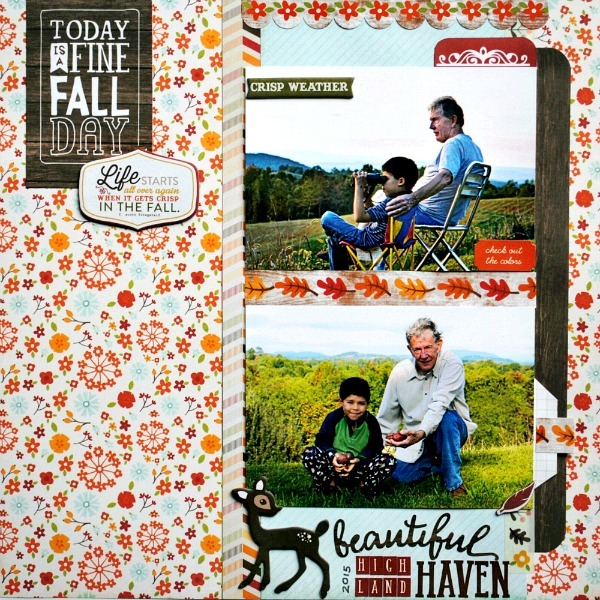 It's the 5th of the month and reveal day for My Creative Scrapbook Kit Club. Here, I used the kit to document a trip we took in late September to the Virginia Highlands. My parents bought a little piece of property there and it is a sweet spot! It's a great place to watch for deer or pick apples or just relax and soak in the views. 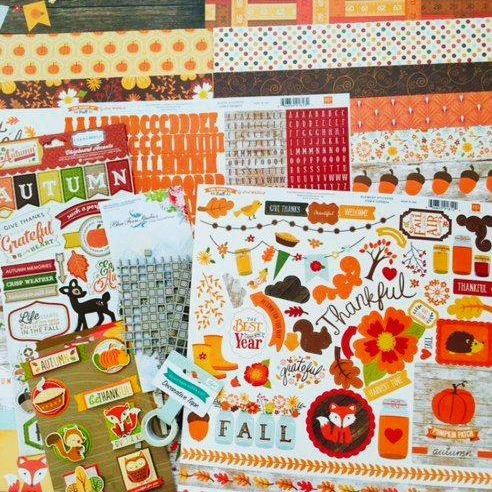 The November Creative Kit is a fun Fall-themed kit, featuring Echo Park Paper and Doodlebug Designs. You can find all the kits here. So gorgeous!! LOVING the colors, the photos and the little deer!!!!!!!!!!!!!!!!!!!!!! Love what you did with the kit, especially the little cluster to go along with your mixed title!